Joseph W. Gibley, Esquire, a founding partner of Gibley and McWilliams, PC, is an experienced trial lawyer and has represented multiple heavy highway contractors, general contractors, subcontractors, and owners in construction site litigation. He also has tried cases to verdict defending property owners, insurance companies and automobile operators. Much of Mr. Gibley’s construction litigation experience involves the prosecution and defense of contractual indemnity claims in wrap-up and standard construction agreements. He has also served as National Coordinating Counsel in nationwide litigation for a pharmaceutical company. After litigating successfully in a large firm environment, Mr. Gibley joined Kelly McWilliams in 1997 to found Gibley and McWilliams. Prior to entering the practice of law, he worked for 11 years as a litigation claims professional with Liberty Mutual Insurance Company, Prudential Property and Casualty Insurance Company and the AIG Companies. 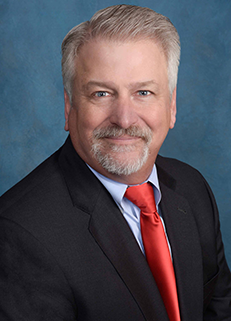 He was recently a Faculty Member for a Pennsylvania Bar Institute continuing legal education seminar on the topic of deposing witnesses and has served as a Course Planner for Continuing Legal Education with the Philadelphia Bar Education Center. Achieved defense verdict in favor of subcontractor on an indemnity claim tried in Philadelphia Court of Common Pleas which prevented client from having to indemnify general contractor for $3,000,000 personal injury verdict. Obtained a number of defense verdicts for heavy highway contractor in Philadelphia Court of Common Pleas. Retained to defend and prosecute indemnity claims in large exposure personal injury claims in and out of state jurisdiction.